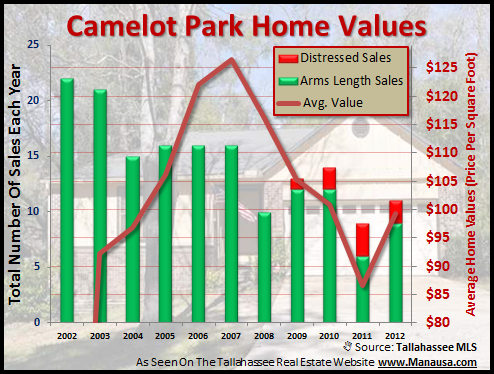 Camelot Park home sales are weathering the falling real estate market better than most. 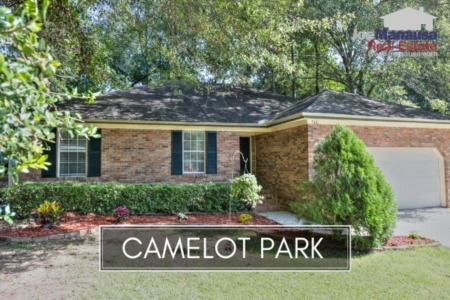 With only three homes for sale in Camelot Park remaining, this Tallahassee neighborhood seems to have achieved a balance between supply and demand. 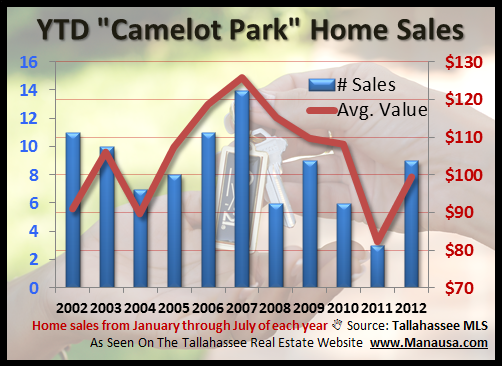 Unlike the majority of Tallahassee neighborhoods, Camelot Park home sales are having an "average" year. While this might not seem earth-shattering, remember the overall market is running at about 52% of its normal pace of home sales. In the real estate graph above, we can see that distressed home sales account for far fewer than the 67% recorded in 2011, thus enabling home values to fall at the previous, gradual pace. Thus far in 2012, there have been 9 Camelot Park home sales, which is about normal for this great in-town neighborhood. 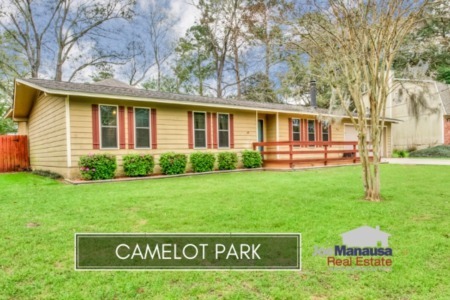 The average price of a Camelot Park home is $151,000 through July of 2012, which is better than the $145K values seen last year when so many of the sales were distressed properties, but still 28% lower than Camelot Park home sales prices at the peak of the housing market. Camelot Park home values are faring better than the market too. Thus far in 2012, the average Camelot Park home value has been $99 per square foot, down about 22% since the peak of the real estate market. 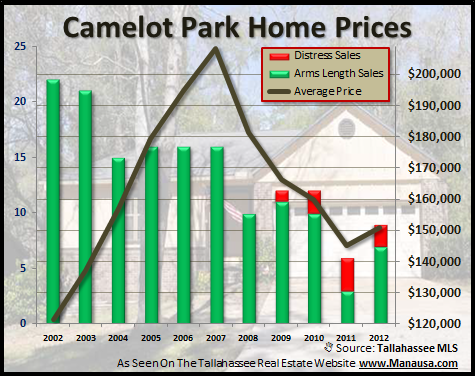 I hope you enjoyed our report on Camelot Park home sales, please check back again regularly for more real estate reports for Tallahassee neighborhoods.